Detailed information regarding the nature of our practice and our basic patient guidelines and office policies are provided below. If you have any questions not answered on this site or you need to clarify some of the information detailed below, please contact us by email or call our office at 919.544.6461. If you are experiencing a life threatening situation, go to the nearest Emergency Room. Emergencies during office hours will be given priority treatment in the office. After hours, both doctors are available to answer phone calls until 11:00 PM each night. Situations arising after 11:00 PM should be handled by an Emergency Room. We make every effort to keep the cost of your medical care down. Payment is expected at the time of service, unless prior arrangements are made in advance with our office manager. Payments not made on the date of service will be charged a $10 late fee. Returned checks will be charged a $25 check processing fee. The nature of our practice is to schedule longer appointment times with the doctors and to not double book appointment times. Missed appointments disrupt continuity of care and are unfair to other patients waiting for appointment openings. Missed appointments, or those not cancelled before 9:00am on the day of your appointment, will be charged $25 for an regular appointment and $50 for a Physical/Surgical procedure. Reminder calls go out to your primary phone number two business days in advance of your appointment. These are a courtesy to the you as a reminder of your appointment, but it is your responsibility to keep up with your scheduled appointments. You are welcome to review you medical file at any time, and may receive a copy of your medical file upon written request. However, we do charge for copying, faxing and mailing medical charts; there is a $10 minimum fee and a $30 maximum fee per chart. Prices based on the number of pages requested can be quoted upon request, per NC Statute 90-411. For most radiology procedures, your insurance will require a prior approval. 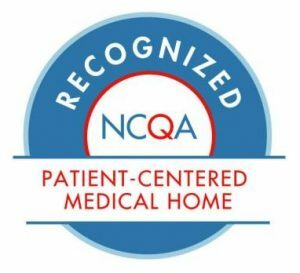 Prior authorizations for referrals to other physicians or for diagnostic tests or procedures require an appointment at our office before the referral can be done in order to collect the necessary information for your referral and authorization. We will make every effort to process your request promptly, but referrals may take several days after the information is obtained to hear back from the insurance company regarding the status of the request. Medications that require prior authorization require several days to process. Please notify our office of upcoming prescription refill requests at least a week in advance of running out of the medication. In order to process the authorization, your pharmacy must fax a prior authorization request to 919.361.2487. After receiving the request from your pharmacy, we must submit a prior authorization request to your insurance for your medication. After they review the notes regarding why you have been prescribed the medication, the insurance decides coverage on a case by case basis. Some insurances require that the patient tried, and failed, a generic alternative before being approved for the brand name medication. You can ask the pharmacist if that is the case with your medication if it requires an authorization. Once approved, your pharmacy will be notified by your insurance company that your medication is ready to be filled and they should call you to pick up the prescription. If you need a refill on your medication, please contact your pharmacy and have them fax a refill request to 919.361.2487. You may be due for an appointment to have your medication reviewed or lab work done. If you are uncertain if an appointment will be required, please call our office at 919.544.6461. Refill requests received after 2 pm may not be processed until the next business day, so plan ahead. Please allow at least 2 business days to process all refill requests. If you have never taken the requested medication before, you will need an appointment prior to obtaining the prescription. For controlled substances, you will need to pick the prescription up from our office and take the written prescription to your pharmacy. We are not able to call or fax these prescriptions to a pharmacy. For a detailed explanation of our appointment scheduling procedures, please visit our Practice Information and Procedures page.